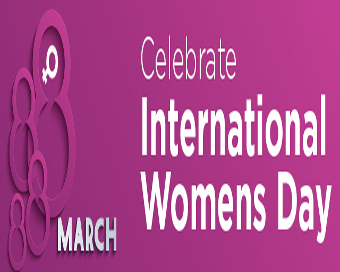 International Women’s Day takes place this week (March 8th) with more than 40 countries around the world holding events to celebrate the social, economic, political and cultural achievements of women and to highlight gender inequality around the world. The origins of the day go back to 1908 when 15,000 women marched on the streets of New York to demand voting rights, better pay and working conditions. Three years later in 1911, as a result of an initiative by German socialist Clara Zetkin, one million people across Denmark, Austria, Germany and Switzerland first marked the day with demonstrations to highlight the cause of women’s suffrage. Although the annual event continued in many countries it was decades later in 1977 when it was officially recognised by the United Nations. Last year International Women’s Day had an added focus in Ireland as it coincided with the 1916 celebrations and the role of the women who took part in the Rising was highlighted. This year the theme of International Women’s Day is #BeBoldForChange. Demonstrations are expected to be larger than before, following on from the Women’s March on Washington in January 21, which spread worldwide in response to Donald Trump’s inauguration. Here in Ireland the day has gained popularity with marches and this year among the events planned are demonstrations such as March for Repeal and Strike 4 Repeal, and events organised by the National Women’s Council of Ireland, including a conference on women’s mental health in Dublin’s RDS. Even RTÉ television soap Fair City has jumped on the bandwagon with an all-female episode on Wednesday to mark the day. With issues such as income disparity, under representation of women in business and politics (35 women were elected to the Dáil last year, a historic high, but still just over 22 per cent of all TDs and just 14 percent of Irish companies have a female CEO) there is much room for improvement. So what do Irish women think of the day? Do they believe celebrating March 8th each year really makes a difference in women’s lives? We spoke to women from the worlds of business, politics and sports to get their views on International Women’s Day. Michelle O’Donnell Keating, co-founder of Women for Election, has noticed an increased celebration of the day in Ireland in recent years. She believes that it is “a great opportunity to recognise the contribution women make to society, be it politically, in business, community or in family life”. Businesswoman Alison Cowzer said it is “a useful day to focus on the progress, or in some case lack of progress, women have made in various aspects of society”. The Dragons’ Den investor and co-founder of East Coast Bakehouse, will be attending an event in UCD where marriage equality campaigner Dr Grainne Healy will deliver an address. She said the concern is that people will only talk about the issues on the day, however, she does think that there have been positive changes and that “we’ve managed to mainstream the need for equality across the year”. Sportswoman and former Ireland women’s rugby captain Fiona Steed has mixed views on the day. “I really don’t like the fact that we have to have it to promote women and emphasise how great women are. I think women are fantastic every day and I think we should be celebrated every day,” she said.